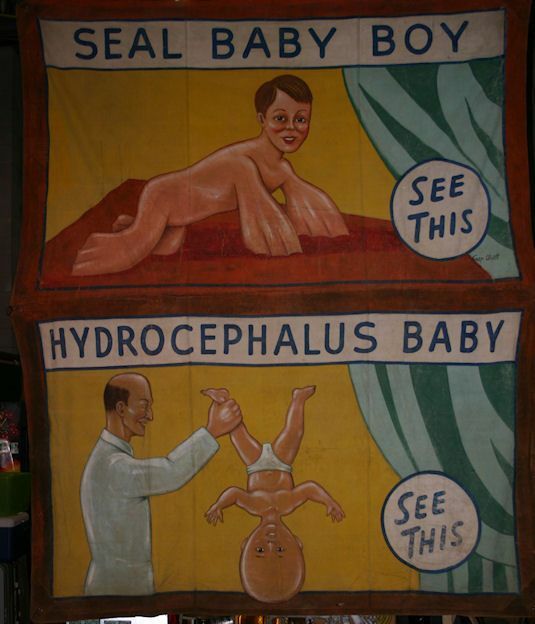 Antique canvas circus/carnival sideshow banner Seal Baby Boy Hydrocephalus Baby signed by Snap Wyatt in as found condition. Measures 135″(11 1/4′) x 116″(10′) with slight damage and repairs. 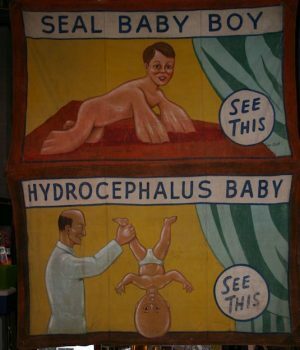 Great subject matter……….